I have been looking forward to this movie for quite a while now. It is about an historical event that happened in my home town in 1940. I have visited the crash-site of the Heinkel several times and gathered information about the equipment of the german air-gunner (Hauk). His jacket and uniform, flightsuit, parachute, lifewest etc... I only found remnants of it since everything burned when the wreck was set fire to. There will be an exhibition at Grotli hotel, close to where the German and British pilots met. I will be lending them a mannequin and hopefully the movie will generate som interest. The movie has received quite a lot of funding. The filming of the movie begins march 28. Two Englishmen and three Germans. They are all at war and they are all killers. “villains.” They have shot one another down. ability to destroy what human beings are able to build together. simple and clear, and concludes with one concise reality: they need each other. are, and what a waste it is to fight against each other under such circumstances. fifth generation Military Officer. A good man caught on the wrong side of the war. surprisingly wry sense of humor. who grew up in an orphanage believing that Hitler was his father. Partridge finds that, when pushed, he has more strength than he thought. Last edited by Jon Kjetil Dalen; 03-16-2011 at 09:00 AM. Thank you. I will post some of the general information I get about the movie. We had a visit by some props people a few days ago. Many objects from my own personal collection will now star in the movie Mostly wooden crates, Norwegian field telephones and some german equipment. Norwegians surveying the Heinkel some days after the german crew burned the cockpit section and encountered the british RAF crew. The Director has visited Horst Schopis in Berlin and interviewed him. View the film in the first post. 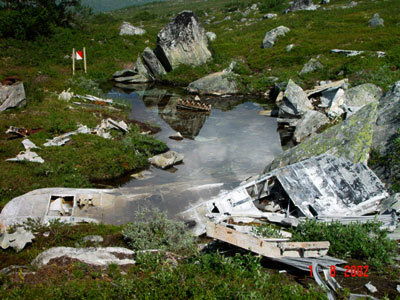 In 1977 the british Blackburn Skua was salvaged from a Norwegian lake. A documentary was made about it. I think the plane rests in The Imperal War museum in Britain. Some footage of this documentary in the video also. Last edited by Jon Kjetil Dalen; 03-20-2011 at 04:23 PM. News about the film is spinning faster and faster in the media these days. "I'll have to admit that I am a bit vain, and think it's noble that my story is made into a movie, "says the 98 years old retired German pilot Horst Schopis. He is played by Florian Lukas in Petter Næss's film comrade". The first press-conferance with the actors. thanks for the update! !think that skua which was recovered is in the fleet air army museum! !not many of them left though!!!! I am sure you are correct about the museum. The Blackburn Skua is a rare bird indeed. Photo of the Heinkel wreck taken in 2002. 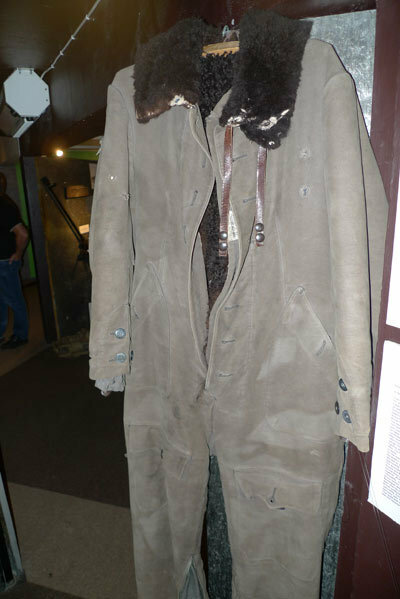 Museum photo of Schopis´ flight suit. Here are some pictures I have taken of items I found in the wreckage. I sent these photos to the production company. They are using some original items, together with some german reproductions of items. A plate from the observers pouch (from the wreckage), next to a well preserved one. Parts of a Schwimmweste. Brass mouth piece, perhaps not B-2. 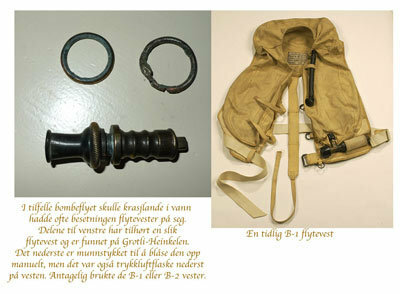 Parts of a fliegerkopfhaube LpkW101. Som new info about the filming. The actors have arrived in Norway and filming has begun. The release date of the film is set in spring 2012. "Petter Naess has experience as both stage director and actor, among other things, from Oslo Nye Teater. First play his film was released in 1999, and only 3 years later he received an Oscar nomination for film Elling. As an actor we saw him last in the film Max Manus, where he played Captain Martin Linge. As the director's Mask Flower family (Maskeblomstfamilien) his latest project. This week, however, he starts a new project and go with a bunch of Norwegian, German and English actors to Grotli in the south east of Norway. 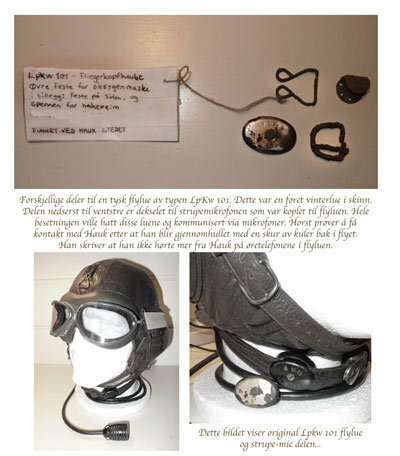 We meet Petter Naess on Armed Forces' aircraft collection in which it held a big press conference in connection with that they start filming. It is a pleasant, relaxed, and not least the enthusiastic guy who meets us, and he can hardly wait to get started with your project. It is clear that he is very proud that Comrade project. We asked why he chose to work with this particular project? There are so many reasons! It's a great premise for a movie. Enemies who must seek shelter in the same cabin. They try to be enemies, and they represent their ideology and attitudes. We'll see them in the transition from barbarism to humanism. Comrade The film is based on events that took place in Grotli, 27 April 1940. A British Skua aircraft shoot down a German Heinkel-machine that is flown by the pilot Horst Schopis. He manages, against all odds to land the plane and were joined by two survivors from the plane. The British aircraft must also make an emergency landing, so you have five people looking for shelter in Norway's beautiful but harsh winter landscape. Eventually they meet in a hunting lodge and there will be an ordeal for them all. They realize that they have the same needs. They are forced to work together to survive. 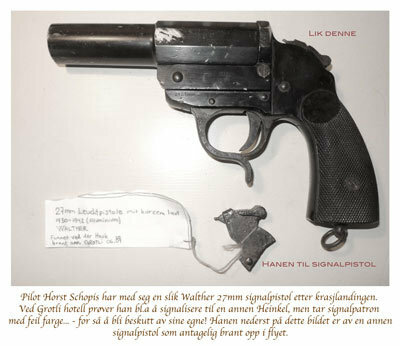 In fact, had all three Germans with them their Luger and could actually shot down the British away. But that's another thing to meet people face to face than to sit safely up in an airplane. It's an absurd premise. They become friends and then go out and fight in the war afterwards. The only survivor of these five as the story is based is Horst Schopis. He is now 98 years old and has a standing invitation to come up to Grotli and watch the recording. It is clear that the individual in history also means a lot to Naess. This old and distinguished great man. Through this film he gets recognition. The German soldiers will always represent the three kingdom, but can Schopis of restoring their dignity. Have respect for themselves and be respected by others. This production, according to Naess be cinematically challenging. It is intimate, close and human drama. The countryside should function as a backdrop, beautiful but also dangerous as **** he says. The Norwegian countryside is very suitable for film. It's also an interesting concept with 5 men alone in a cabin. They are revealed, put on probation and must maintain its authority. Men can be childish! I tend to say that these pilots here are professionals but they are amateurs on the ground. Nothing that happens in the air means something down on the ground. Comrade begin recording Grotli this week, and famous names such as Rupert Grint, Florian Lukas, David Kross and Lachlan Nieboer is already well on its way to the Norwegian mountains. Time for a small update in this thread. The movie has been renamed from "Comrade" -> "Into the white"
Several countries have bought the rights to distribution. was this film ever released? the trailer look reasonable! Its a really good film. I have it on blu-ray and its called 'Cross of Honour' here in the UK.